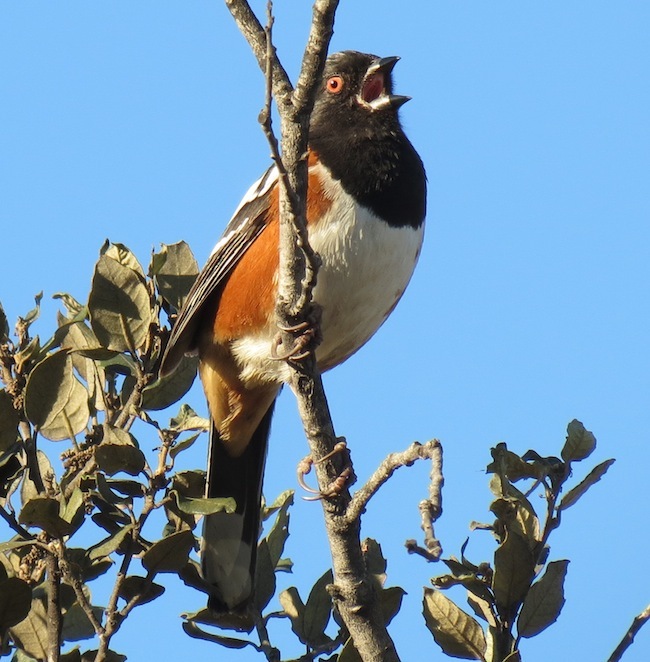 Burns lab graduate student Shannon Walsh recently received a Frank M. Chapman Award from the American Museum of Natural History to help fund her project investigating the conservation genetics of the Spotted Towhee (Pipilo maculatus) on California’s Channel Islands. Two subspecies of the towhee occur on the Channel Islands, the mainland subspecies and an island endemic subspecies. Using DNA sequence data, she is studying the evolutionary history of the towhees on the islands and evaluating their genetic distinctiveness. The island endemic subspecies, P. m. clementae, is classified as a California species of conservation concern.